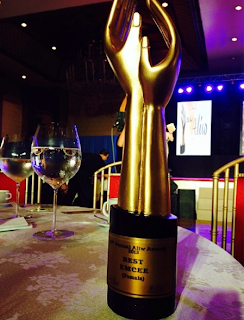 The Aliw Awards 2013 winners have been announced during a star-studded awarding ceremony held at the Manila Hotel Fiesta Pavilion on Tuesday night, October 9, 2013. "Katy! The Musical" took home the most awards including Best Musical Production, Best Actress in a Musical Production for Isay Alvarez, Best Actor in a Featured Role for Tirso Cruz III, and Best Actress in a Featured Role for Dulce, who also won Best Performance in a Concert and Entertainer of the Year. Fresh from his "The Voice of the Philippines" win, Mitoy Yonting was named winner in Best Performer in Hotels, Music Lounges, and Bars category. Other winners in this year's edition of the Aliw Awards also included Ryzza Mae Dizon (Best Child Performer), Toni Gonzaga (Best Female Emcee), Luis Manzano (Best Male Emcee), Abra (Best New Artist), Bamboo (Best Major Concert) and many more. Organized by the Aliw Awards Foundation, Inc., the Aliw Awards is held annually and is now on its 26th year. It recognizes achievements of Noypis in the live entertainment industry, giving awards for excellence in theater, opera, dance, live vocal and instrumental shows. LIFETIME ACHIEVEMENT AWARD: Nora Aunor, Angie Fiero, Lirio Vital, Nestor Torre, Leyte Dance Group, UP Repertory, Sen. Tito Sotto, Vic Sotto and Joey De Leon.